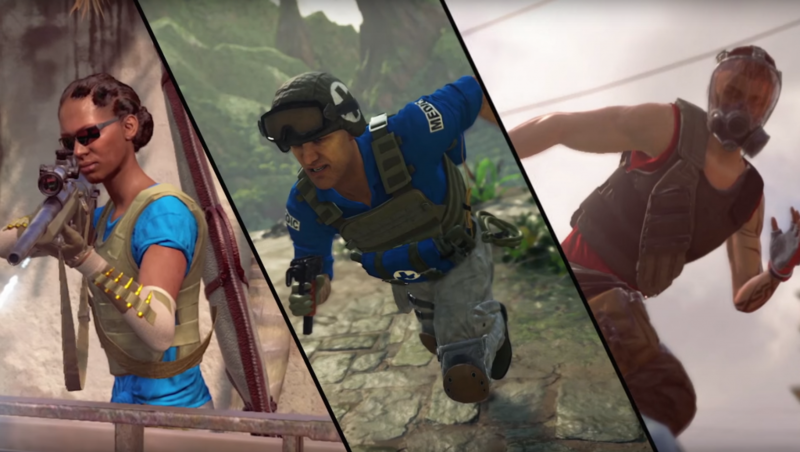 Following its new trailer from Paris Games Week, Uncharted 4‘s multiplayer made a surprise appearance at PAX Australia on the weekend. Not only did it come as a playable demo at the Playstation booth, but developer Naughty Dog’s community strategist Arne Meyer was in town to give us the scoop on the new mechanics, and also clarify one particular controversial feature (more on that in a minute). On the topic of the new supernatural elements (referred to as “mysticals”) shown in the Paris trailer, Meyer said their inclusion was due to Naughty Dog’s desire to change up the combat mechanics beyond running and shooting. By dropping a giant gold deathtrap on people apparently! “Everyone has to scramble, otherwise they’ll be dead,” he said. El Dorado was the only mystical to appear in my time with the multiplayer, after a player spent their money accrued by scoring kills to summon it. It certainly spreads itself around the map, and was best used when the opposing team had a good fortification strategy going on. The other mysticals to be demonstrated were the supernatural twists from Uncharted 2 and 3: the Cintamai Stone and the Djinn. 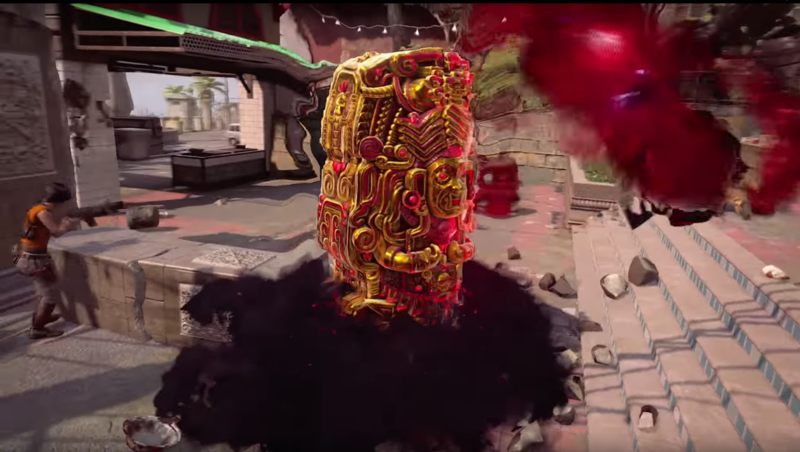 The Stone, much like it’s purpose in the original game, revives players back to full strength and features an effect radius to save multiple team mates. The Djinn is much more aggressive, increasing strength and agility, shown in the Paris trailer with Elena catching fire and being able to zip around the map ala inFAMOUS: Second Son’s smoke power. Meyer also teased there are more mysticals to come in Uncharted 4, ones that don’t appear in the previous games, but Naughty Dog weren’t ready to reveal them yet. The other new mechanic is the sidekick system, where players can spend accrued money to summon an NPC to assist in some way. During my time with the game, I used the Sniper by placing them in a particular vantage point and letting them let loose with headshots while I flanked the opposing team. The Sniper is a fairly stationary sidekick, but the Hunter and Saviour classes are much more mobile. The former will sprint towards the nearest enemy player and hold them in a headlock, giving you the opportunity to melee them more easily. The latter Saviour is essentially a medic, who will come running to downed players and revive them. I can’t be the only one getting a Team Fortress 2 vibe from these guys, right? As mentioned earlier, all of these mysticals and sidekicks are purchased with money, rather than XP, gained from kills. Downing an enemy player will give you $100, successfully killing them from there will grant you another $50, you get a little less for assists etc. I’m a fan of this system, as it allows you to build up to the fun stuff without needing obscenely high killstreaks ala Call of Duty. 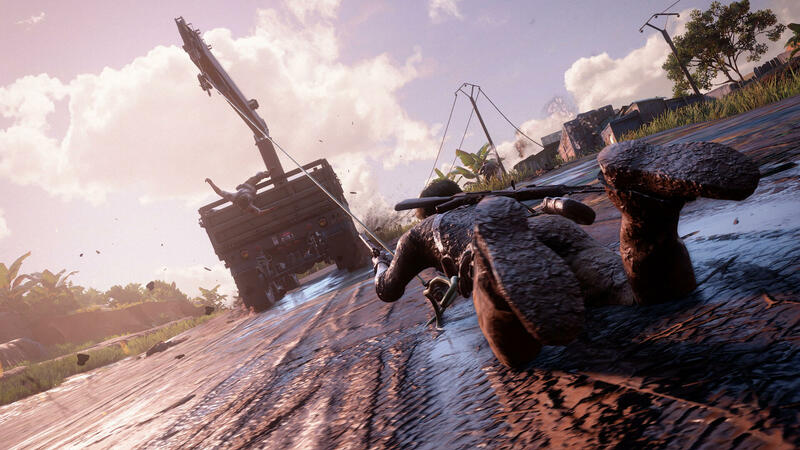 “The idea is that there are some things in the game that you can get with Naughty Dog Points, and when you start playing Uncharted 4’s multiplayer you actually get a little bit of this currency so you can try it out and see how it works. “You buy Naughty Dog Points with real currency, so it’s basically a virtual currency. 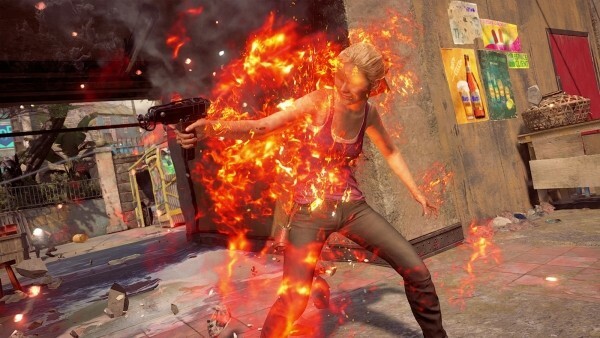 And the idea is that we looked at the ways that people have done this in other games, we’ve looked at the community’s reaction to it, we’ve looked at the community’s reaction to our announcement of Naughty Dog Points, and we want to make sure that it’s a really complex but really balanced system, that everyone gets to use. “The idea for us is that, we’re not trying to create a new stream of money coming in for it. The idea is that we want to support this game for a really long time. If you look at Uncharted 2 and Uncharted 3, those two multiplayer games still exist right now, we still have a multiplayer community that’s playing with it, and it’s really quite some time. We want to be able to do that with Uncharted 4 as well, to be able to support the multiplayer game for it. A visual representation of what the internet will probably do with that comment. Though the dreaded word was not used, but this is a microtransaction system. Meyer went on to stress that everything that is obtainable through Naughty Dog Points is also able to be earned for free, but he didn’t elaborate as to the specifics of what is tied to the points. I’ve expressed my feelings towards microtransactions being in full-price games before, even when there is a longer wait “free” option because it is clearly only there to make paying for it a better alternative. And the reason for including them being a flow of income to help keep the game running doesn’t quite make sense to me, as there are no dedicated servers for Naughty Dog to run and really we, the players, are hosting our own games across Sony’s servers, which we are already paying a Playstation Plus subscription to use. Aren’t we already paying to keep the game going? As for what is tied to these Naughty Dog Points, Meyer wouldn’t say. They could be completely cosmetic, maybe outfits for characters that have absolutely no bearing on gameplay. If that is the case, I can live with it, but once gameplay influence comes into play then this will start getting dicey. Only time, and an inevitable press release from Naughty Dog, will tell. But the most important thing, the actual multiplayer mode itself, was great fun. It could do with better sneaking mechanics, such as walking while crouched, but the chaotic nature of it and the quick quips from the characters kept the Uncharted feel. We will surely learn a lot more about the multiplayer mode, and have a better hands-on time with it, when the beta rolls around on December 4. You can follow Tom on Twitter in 12 hours, or right now for $4.99, at: @tomdheath. For more news out of PAX and around the gaming world, follow LoadScreen on Twitter, @load_screen, and like of Facebook.